The communication management machine is usually used in the substation, dispatching station, through the control platform to control the downstream RTU equipment, to achieve remote, telemetry, remote control and other information collection, the message back to the dispatch center, and then control the center administrator through the message Processing the analysis, select the command to be executed, to achieve the goal of the remote output scheduling command. Which has a plurality of downlink communication interfaces and one or more uplink network interfaces, which is equivalent to a front-end monitoring computer, which is used to summarize the communication data of all the intelligent devices in a substation and upload them to the super-master station system in real time Monitoring center server and DCS), complete the remote data transmission, remote monitoring function. On the other hand to receive the server or DCS issued by the command, and forwarded to the substation within the intelligent series of units to complete the switch device within the station points, closing remote control or device parameter settings to achieve remote control and remote control function. It should also be equipped with multiple serial interfaces to communicate with other intelligent devices in the station. Traditional power communication management machine to use X86 architecture industrial computer to achieve, require 7X24 hours of online services, resulting in a full set of high cost of products, power consumption is also large, installation and use of the need to consume a lot of manpower and resources resources, sudden system crash , But also the user had to use the fear. 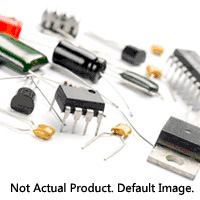 You can learn more information from electronics chip website. ● You can configure the LAN through the Ethernet function provided by RJ45. with multiple serial port function Communication management machine has a flexible configuration of the serial port function, it can be configured according to user needs serial port, the configuration range is 1-23, for different interface cards have different serial number. The IoT-9608 is an industrial control board based on the AM335x series processor developed by ZLG, which provides a variety of functional interfaces, with strict anti-jamming and antistatic testing. Power interface through the ± 4KV surge and group pulse test, the signal interface through ± 2KV surge and group pulse test, the port after ± 6KV static test. Can be -40 ℃ ~ +85 ℃ industrial temperature range of stable work to meet a variety of demanding industrial applications, especially in the areas of high demand for communications, such as factory automation, mechanical equipment control, intelligent transportation, Navigation ships, power petrochemical monitoring.